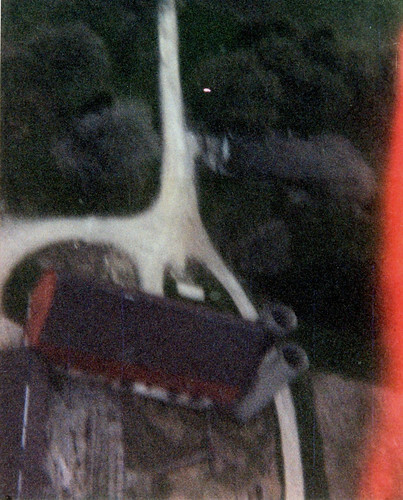 Aerial photo of the barn at the East Branch Forest Preserve in Glendale Heights taken from my Estes Astrocam RTF on a C6-7. The photo is actually mirrored, as the Astrocam's lens points to a mirror that acts like a periscope to shoot the picture. Photo has been retouched in Photoshop for better quality, though it unfortunately won't get any better.